Details about Battlefield 4 are slowly beginning to trickle out as EA looks to build hype leading up to the game's March 26 unveiling at an event during the Game Developers Conference (GDC) in San Francisco. Although the company will likely remain quiet about anything significant until next Tuesday, it hasn't hesitated to encourage speculation by releasing a the first official piece of promo art along with press invitations to the GDC gathering. At first glance, the images don't reveal much. The promo shot shows Battlefield 4 to be a modern military shooter with a conventional looking soldier, weapons and vehicles, so you can probably squash any hope of it being some kind of sequel to the futuristic Battlefield 2142. Additionally, for what it's worth, the picture shares many stylistic features with Battlefield 3's early images, down to the colors, reaffirming that BF4 is BF3's successor. Beyond the obvious, hawk-eyed webgoers have determined that the game's campaign will likely involve China, as the orange rectangle over the soldier's shoulder is recognizable as Shanghai's skyline (click the image for a higher resolution version). The other sub-images are tougher to make out, but some folks are convinced the aircraft silhouette behind the "I" and "E" is that of a Chinese Chengdu J-20, due to be introduced in 2017-2019. DICE has also released a few seconds of a trailer that's set to go live around the time of next week's unveiling, but we haven't seen anything meaningful extrapolated from this yet. 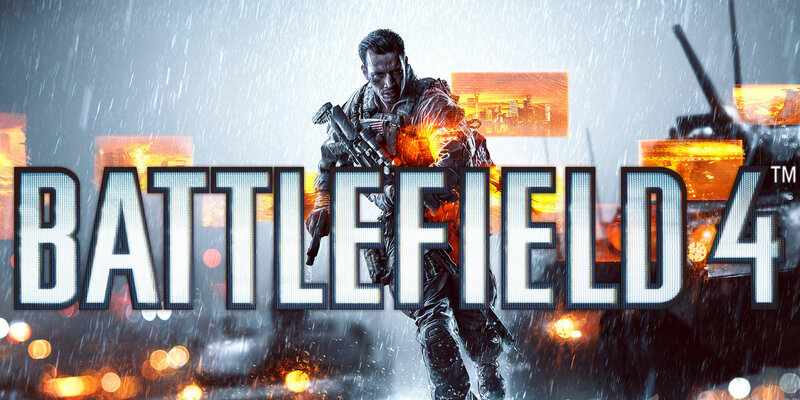 Battlefield Premium members will supposedly get to see the full trailer before it's available to the masses. BF4 beta testing is expected to occur this fall. EA hasn't announced a release date or launch platforms yet, but it's probably safe to assume PC will make the cut.